In a typical retail distribution network, stock flows from factories through distribution centres (DCs) to retail outlets. An uneven flow of stock through a distribution network increases the cost of material handling and transportation. These costs increase because additional labour and vehicles must be hired on a temporary basis to handle the peak stock flows. 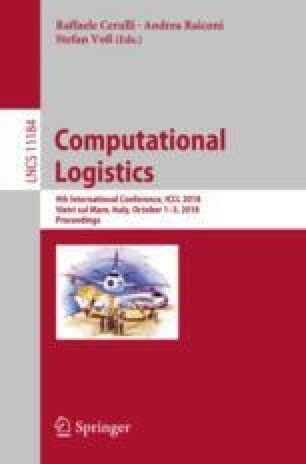 In this paper, real data of a large South African retailer are used to model the scheduling of the order picking operation in the DC. The aim is to smooth the outflow of stock from the DC to lower labour and transport cost that arise from an uneven flow of stock. Two integer programming models are presented and both calculate solutions that can level out the peak stock flows without letting stock run too late. The model that limits the outflow to a predetermined target level, while minimising the delay of stock in the DC is recommended due to model performance and practicality of implementation.